There are times, at the Douglas Beach House (aka the Bach Dancing and Dynamite Society), when a singer comes in and subtly moves the audience to a deeper attention than might otherwise be the case. 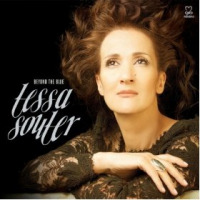 So it was, when jazz vocalist, composer, and lyricist Tessa Souter took the stage on Sunday, February 13, 2011. 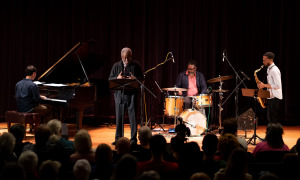 Aside from Souter, the quintet consisted drummer Akira Tana, bassist Dan Robbins, pianist Dan Zemelman and guitarist John Stowell. The concert was performed the day before Valentine's Day, and so, in her opening comments Souter said, "We're going to do a lot of love songs for you this afternoon, and tell love stories, too." And so it was, with 95 percent of her chart being her own arrangements. 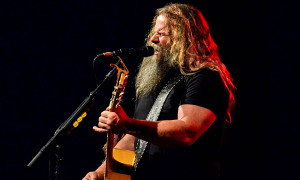 It can be dicey for a performer to bring in his/her compositions and arrangements, performing with a pickup band that has never before seen the sheet music, much less had a rehearsal. Still, Souter pulled through with depth and passion, her powerful facial expressions easily seen, as she went deep into herself to bring out the full meaning of the lyrics. This was well-noted in Souter's version of The Beatles' classic, "Eleanor Rigby." Souter's arrangement was much slower and smoother than the original, and she wrapped the song in a heavy sadness with smooth, liquid phrasing. On the second song of the first set, Souter's arrangement "Afro Blue," Zemelman delivered a refreshing piano solo, his phrasing quick and sharp, giving the song an expressiveness that worked well with Souter's lyrics. It was obvious that the pianist was having fun, finding a mutual groove with Souter throughout the concert. It took the band until the second set of the evening to finally click and really come together. Even Souter seemed to let go more, to relax into the evening much more than in the first set. The opening song, again arranged by Tessa, was the old standard "Night and Day." Robbins led the opening bars, as the rest of the members slipped in behind Souter's milky smooth lyrics. 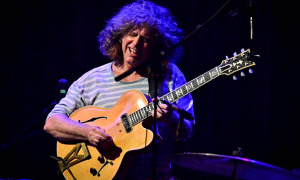 Elsewhere in the set, Stowell's guitar was sometimes reminiscent of Bruce Forman in the 1980s, but Downbeat Magazine said it the best: "He plays his amplified guitar as if he were surrounded by fine crystal...." And, of course, in this case, the fine crystal was, metaphorically speaking, none other than Souter, especially when she sang tunes like Wayne Shorter's "Ana Maria." 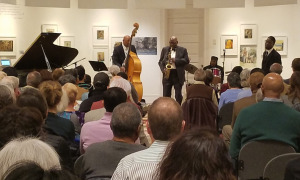 Overall, the audience was drawn in by her voice, but didn't applaud very often after featured solos by members of the band, and when they did it was what might best be referred to as a polite applause. 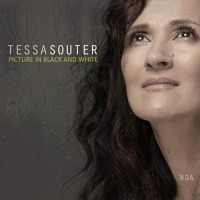 The evening with Tessa Souter was worth all of the love that one could give, as the Douglas Beach House was graced by a unique jazz singer.